The farm is located at 4890 Keene Road, Lexington, on the NW side of Firebrook subdivision, 1.7 miles from Man O’ War/Harrodsburg Road intersection. Turn off Harrodsburg Road onto Military Road at the South Elkhorn light near the bridge. At the top of the hill, bear to the left on Keene Rd (HWY 1267). Travel 1.4 miles and the trees will be on the left. 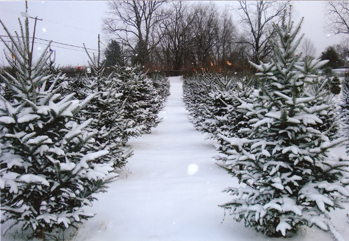 We’re family owned and operated.This year marks our 26th year of selling our trees! The trees are of high quality, but limited in number. 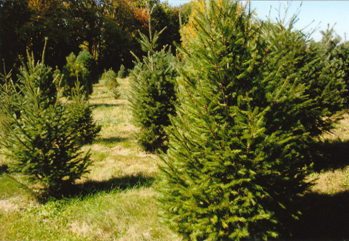 Christmas Memories Tree Farm offers White Pine and Canaan Fir. Our farm is small (approx. 3 acres of trees). We can provide saws, twine and help you load. Also, we will offer greens for sale this year too.